As of today, we have been in the business for over 21 years and is well recognized for our deep sea fishing and quality exports of Fresh Tuna, Sword fish, Mahi Mahi, Marlin and many other varieties of Reef fish. Indian Ocean is blessed with vast resources of marine wealth throughout the year. 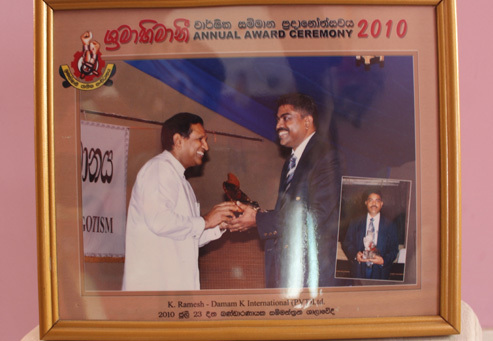 Damam K International is a import and export company based in Sri Lanka, which is a leading supplier of high-end & premium quality sea food products for the Europe & USA markets. Damam K International exports Fresh and Frozen Tuna with other varieties of Seafood. The incorporation of Damam K International has broad in depth Seafood experience is gained through the decades by its proprietor Mr. K. Ramesh. Damam K International has been in the seafood business for over 21 years and is well recognized for our top quality seafood exports of fresh Tuna, Tuna H&G, Tuna Loins, Tuna Steak, Sword Fish and many other varieties of Reef fish. Our desire is to build relationship based on excellent communication, reliability and trust. The main markets for its products are USA, Canada, France, Italy, Belgium, Denmark, Germany and the European Market. Damam K International is been able to fulfill the demands in the industry to earn foreign exchange and to develop the economy of the country. We have a strong understanding and agreement with our supplying fishing boats and vessels all over the Island. We stand on four corners of Sri Lanka and our fishermen always bring fresh and quality fish to our collectors.